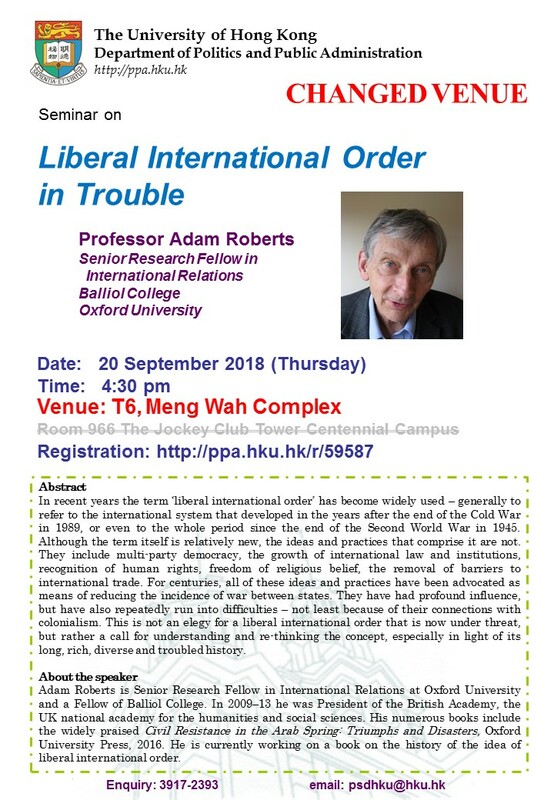 Adam Roberts is Senior Research Fellow in International Relations at Oxford University and a Fellow of Balliol College. 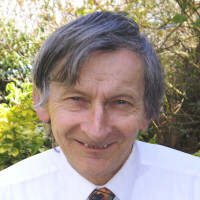 In 2009–13 he was President of the British Academy, the UK national academy for the humanities and social sciences. His numerous books include the widely praised Civil Resistance in the Arab Spring: Triumphs and Disasters, Oxford University Press, 2016. He is currently working on a book on the history of the idea of liberal international order. Tea & coffee will be served. Please bring your own reusable bottle/cup.